Pulisic made his senior USA debut in the 2018 FIFA World Cup qualifier with Guatemala in March. 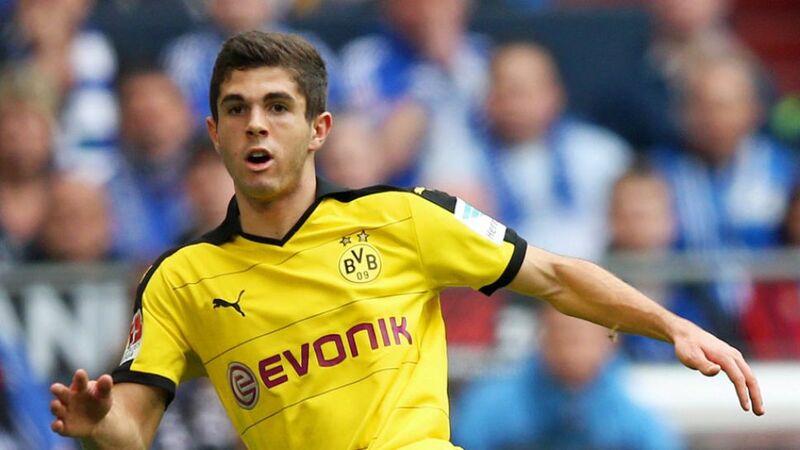 Borussia Dortmund teenage prodigy Christian Pulisic has been named in the USA's 40-man provisional squad for this summer's Copa America. The 17-year-old, who became the youngest player to score twice in the Bundesliga with his Matchday 31 strike against VfB Stuttgart, was selected for the tournament by former FC Bayern München boss and current US coach Jürgen Klinsmann. Borussia Mönchengladbach's versatile Fabian Johnson, Hertha Berlin defender John Anthony Brooks, FC Ingolstadt 04 midfielder Alfredo Morales and full-back Timothy Chandler of Eintracht Frankfurt were also included in the initial USMNT selection as was forward Bobby Wood of Bundesliga 2 outfit 1. FC Union Berlin. Klinsmann's men kick off the tournament against Colombia on 3 June before facing Costa Rica on 7 June and then playing their final Group A game against Paraguay in Pulisic's native Pennsylvania on 11 June.